One week after the limitation on contact news for 2013 expired, more details have emerged about team and technology news for next season. Promising 22 year old Fabio Aru has already got the nod from the Astana team for 2012 and 2013, the Italian securing a deal seven days after he began racing for the team in events in Colorado. Runner up behind top US talent Joe Dombrowski in the Baby Giro and a double winner in the Giro della Valle d'Aosta, Aru is seen as one of Italy’s most promising young riders. If he continues his current momentum, he seems set to light up the roads in the years to come. “Fabio is a young man with huge potential, and I believe and hope that he will live up to our expectations,” enthused team manager Giuseppe Martinelli, “If he really gives it everything, we might at long last see a good climber in action, the likes of which we have not seen for a few years. Fabio could even play a key role next year alongside Nibali. Like Nibali, Aru comes from Sicily, so it is possible that the Tour de France podium finisher recommended him to the team. His ability is clear in its own right, though, and he’s chomping at the bit to be as good as possible. 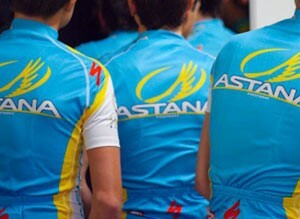 “This year has been really pleasing and now it has been topped off by officially joining Pro Team Astana,” he said. “As well as cycling legends like Vinokourov, there are many successful riders here – now officially including Vincenzo Nibali. These are undisputed champions from whom I will try to learn as much as I can. Meanwhile as one new rider joins the paid ranks, another continues in his current direction. Vuelta a Burgos 2012 stage winner Paul Martens has signed a new one-year deal with Rabobank, continuing a partnership which began at the start of the 2008 season. “I fit in well with this team,” the 28 year old German said. “Despite the fact that I had a somewhat disappointing spring, the team still has faith in my capabilities. I'm happy with that. I feel good here at Rabobank. “I knew that when I had that disappointing spring I was going to be able to come back on form, just as I showed in Burgos. With Rabobank I can apply myself to goals that I see as important: helping where needed and being able to ride my own race in the one day races." Another continuation confirmed today is of a technical nature, specifically the decision of the Androni-Venezuela and frame manufacturer Bianchi to continue their collaboration after two seasons on board. The deal will see the team ride the new Sempre Pro bike for 2013 and with an option for 2014. “Bianchi evokes big champions of the past with the likes of Fausto Coppi and at the same time Bianchi means high-technology and product development. I’m really happy we’ll continue racing on Bianchi bikes” said Androni Giocattoli-Venezuela’s general manager Gianni Savio. The squad has clocked up a total of 14 wins thus far this year; these include Giro d’Italia stage wins with Miguel Ángel Rubiano and Roberto Ferrari, José Serpa’s general classification victory and two stage wins in the Tour de Langkawi, the overall classification triumph of Miguel Ubeto in the Vuelta a Venezuela and the Italian national road race title of Franco Pellizotti. Bianchi CEO Bob Ippolito singled out the the latter rider as being one he wants to see in action on the bikes. “We are proud to renew with Androni Giocattoli-Venezuela and to continue our successful relationship with Gianni Savio,” he stated. “We are also very happy that Italian Champion Franco Pellizotti will use the new Sempre Pro model to further test and develop our carbon racing frames and technology”.